Distracted drivers kill. Not just themselves, unfortunately, but innocent others: conscious drivers, bicyclists, pedestrians, passengers. 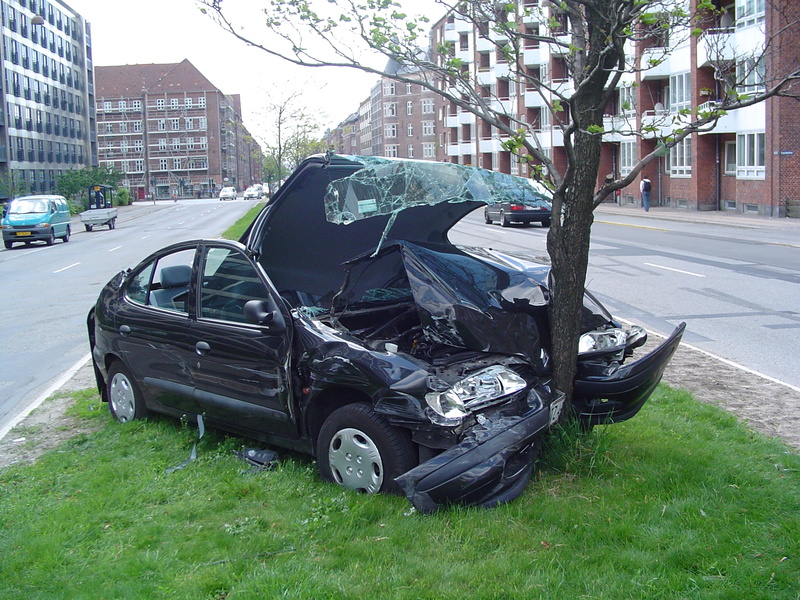 In 2012, for example, 3,328 people were killed in distracted driving crashes. So why, some of us wonder, are today’s cars designed to distract? Touch screens for multiple uses, gadgets for audible texting, voice-activated music or phone calls, GPS instructions that can be conflicted or confusing. Aids and upgrades? Or distractions? Even with two hands on the wheel – tough, when you’re working with a touch screen – it is not possible to have any of the above in use without being distracted from the essential goal of driving: getting from Point A to Point B without endangering yourself or others. That goal once summed up the business of driving. But cars and driving have changed in recent years. Cars are sold on the strength of how they make you feel – free, macho, superior. Driving, at least in the ads, is not a matter of getting from Point A to Point B, but “an experience.” An enhancement of self, time and energy. My friend Mac spends a good bit of time and energy on the 1962 Volvo which is the family transportation, not always to the delight of his wife. But a functioning car is a functioning car. My own automotive experience has evolved from a 1977 Volvo stick shift to a 2000 S40, a rather spiffy little vehicle with sun roof and great radio sound – but no computer. It is increasingly difficult to find a car as uncomplicated as a 2000 Volvo S40. Recently I was a passenger in a new car with one of the now-standard dashboard computer screens. Traveling 75 mph on a well-lit highway we were passing an accident of some sort and a police car with red and blue lights flashing when the computer screen blinked, a beep sounded and a friendly voice from somewhere said, “Hi, I just wanted to check with you about the wine.” Happily, the driver understood the blink, knew the voice, and had earlier set the interior phone to speaker since she wasn’t using ear plugs. She was immediately able to switch from the conversation we’d been having to a conversation about buying wine for the dinner party ahead that evening – while maintaining speed and staying in the same lane. The driver is also a highly skilled multi-tasker who hadn’t had any wine at all yet. But after the phone conversation ended (and my heartbeat had gone back to normal) the driver told me she hadn’t noticed the police car. Suppose the flashing police light had been a warning of hazard ahead? Suppose another driver on another, more troubling, phone call had done something unexpected in another lane? However skilled at both driving and multi-tasking, could my driver have had enough remaining undistracted resources to keep driving safely? Given my choices, I would take sharing the road with Mac and his ’62 Volvo over all these roads filled with cars equipped with audible texting devices, voice-activated music systems and dashboard computer screens. Unfortunately, we no longer have that choice. The proper telephone setting while the vehicle is in motion is OFF, an acronym for Operator Fully Functional. Could we all do a sanity self-check here about the need to speak to unseen beings, persons not in the vehicle who begin the conversation with a scream of “Hey! Get the dog off the table! Sorry, I was etc.” Not the kind of thing you want distracting you from, say, cops and accident scenes. A telephone uses more of a driver’s attention than no telephone. A passenger using a telephone to have a three-way with the driver is also blithely risking death. In short, you can miss a phone call; that’s why Bell invented answering devices. But a driver missing a whole cops-lights-wreckage scene? That’s not a minor case of distraction; it’s mentally leaving the cockpit while driving. Most recently, a driver at the bottom of a freeway on-ramp, blocking it while doing phone stuff; definitely not Mensan timber. There isn’t any such thing as a Gotta-Take-This when the darn car is moving. With passengers ? Nearly criminal, to gamble with the chips of others. Down with Driving Distractions. Up with keep driving, and vice versa. And Off with phones!! … pant, pant, rant endeth. Too many good people getting cut off, for keeps. THANK YOU Geoffrey! I think you said it better than I. Let’s both keep ranting. Thanks, Fran. Dealing with my elderly mother’s abusers for the last two years has put me in a foul mood regarding idiocy made policy, such as having a phone chat while driving. Your experience mirrored one of mine, except the driver missed not an accident scene but a freeway exit. It led straight to Hell, unluckily. Long story, happy ending. And my friend gave up taking calls instead of correct exits …Love B&B, BTW. Read it faithfully on arrival. Hmmm… I’m an elderly mother myself (one reason I write a lot about end-of-life choice & other eol issues. Any time you have a general comment or suggestion along those lines, send me a comment — or better, an email fjohns33 at mindspring.com. More thanks.